“I once fell asleep in the back of a Range Rover while it was off-roading,” Matt Farah explains, plodding up a dirt track in a 2018 Range Rover Velar. The Velar is pretty much the least off-roady Range Rover ever, so any opportunity to see one raked over coals, or uh, rocks, is intriguing. I took a Velar through a little rough terrain in some of my favorite sand stomping grounds near Joshua Tree when the crossover SUV thing first came out. It seemed fine, if slow, since you had to be pretty gentle with the thing. 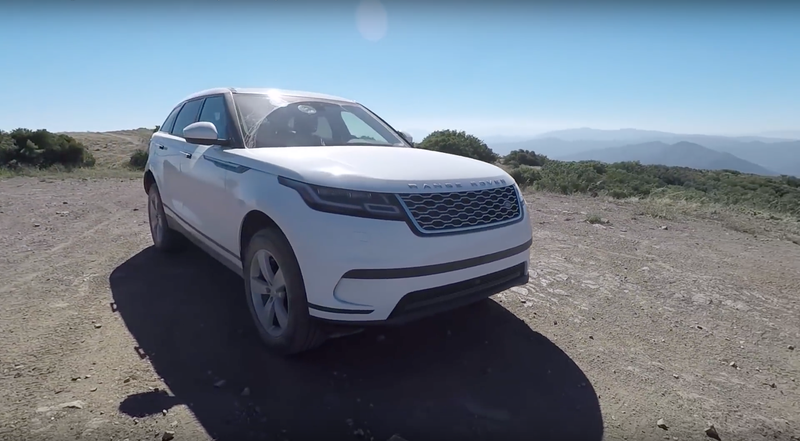 But Farah got to push the Velar a little further, at an off-road park called Rowher Flat not too far from Los Angeles. While it’s pretty much impossible to tell how challenging the route is on camera, as is always the case with off-road photos and video, I can attest that route you’re seeing is fairly bumpy and far beyond what anybody driving what is essentially a lifted luxury car would generally attempt to traverse. This video is more Farah’s stream of consciousness as he assesses the Velar’s purpose and abilities than empirical off-road test, but I think it’s actually a pretty interesting shakedown of a crossover that’s uniquely successful at looking like both a car and an SUV rather than something in between. Can We Just Talk About The Range Rover Velar&apos;s Wool Interior For A Second?